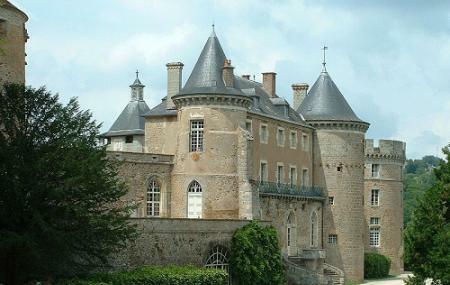 Located in the charming locality of Chastellux-sur-cure in Yonne, is the historic castle of Chastellux. The castle is still inhabited by the descendants of the family that built it. The origin of this building goes back to the year 1080 and it was originally built by the Romans as a wood and stone fort. An architectural and a historic wonder, the owner of the house or a member of his family guides around the castle. A walk through the old buildings, the narrow lanes and the lovely center square is an interesting experience. The castle is surrounded by a huge park which is well-maintained and definitely worth a visit. Find the joy in planning a D.I.Y. trip by using this awesome Chastellux-sur-cure trip planner. Add comfortable hotels to your plan, choose from the recommended hotels in Chastellux-sur-cure like Le Brit Hotel Dak Hotel, Campanile Avallon, Ibis Avallon and GÃÃÃ‚ƒÂ®te De Courotte. Curated Chastellux-sur-cure vacation packages await! Book the best ones and start turning your dream into reality.Discover various ways for how to reach Chastellux-sur-cure and complete the booking by choosing your mode of transport. Love this? Explore the entire list of places to visit in Chastellux-sur-cure before you plan your trip. Fancy a good night's sleep after a tiring day? Check out where to stay in Chastellux-sur-cure and book an accommodation of your choice. Ran in this castle by chance. Did not go inside but its appearence out of nowhere seemed almost magical. Amazing underrated castle well worth a visit! Nice surroundings. Pay attention, guided visits only. 3 visits a day. Poor presentation: no English. 4 out of 10 of visitors were English speaking and the presenter didn't speak a word of English. We expected at least a summary in English. Not much to see:Very few rooms are open for visit with poor lighting you could hardly see the paintings and portraits. Unfriendly attitude:Taking photos from inside is forbidden. This makes sense but this was nowhere written or warned. One of the visitors wanted to make a photo and the presenter shouted no no! Hope they can improve their service a bit.